Replacement bottom heating coil unit for Joyetech AIO Kit. 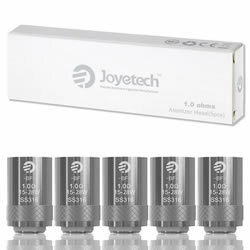 The Joyetech Coils 1.0 ohm (5 Pack) is a pack of five ( also available in singles ) ORIGINAL replacement coils for the Joyetech Vaping Kit. 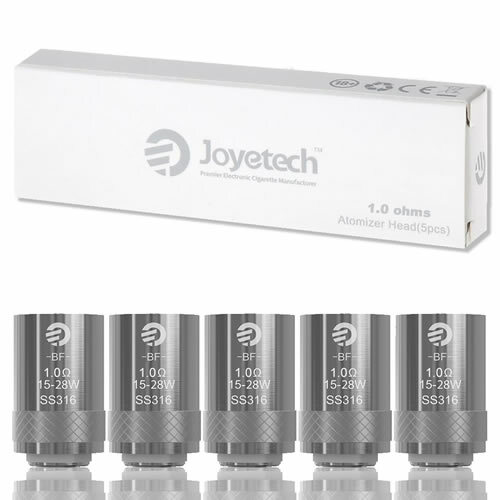 Joyetech AIO Coil Heads contains a Stainless Steel (SS316) coil and organic cotton, a combination which results in fantastic flavour and excellent vapour production. Available in 0.5ohm (suitable for Direct-To-Lung vaping) and 1.0ohm(for Mouth-To-Lung vaping).